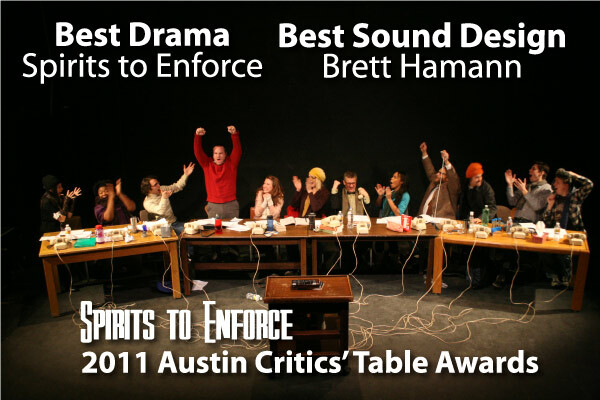 Cap T won big at the Austin Critics’ Table awards held last night winning 4 awards out of 12 nominations. Each of the 3 eligible shows received some type of recognition. The highlight of the evening for Cap T was definitely Spirits to Enforce winning Best Drama. Other nominees in the category included At Home at the Zoo,Palindrome Theatre, August: Osage County, Zach Theatre, Machinal, Paper Chairs, and Cap T’s production own of ‘Bug’. Directed by Gary Jaffe, this is the first New Direction’s production to win top honors at either major Austin awards. Brett Hamann’s soundscape that created a creaky superheroic submarine was also honored with Best Sound Design. Cap T artistic director Mark Pickell won Best Direction for Bug and Hunter Gatherers. 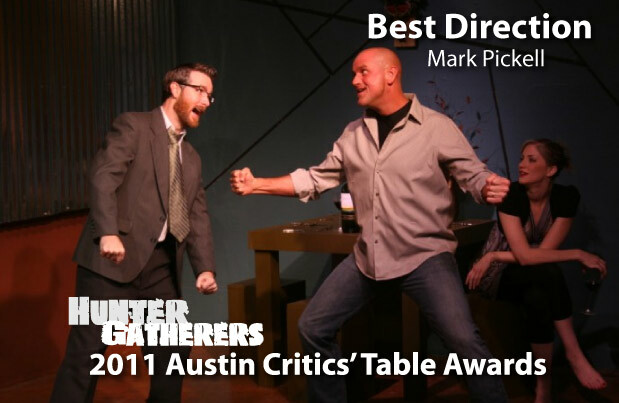 This is the second consecutive year that Mark has been awarded Best Direction by the Critic’s Table as he won the award in 2010 for Killer Joe. 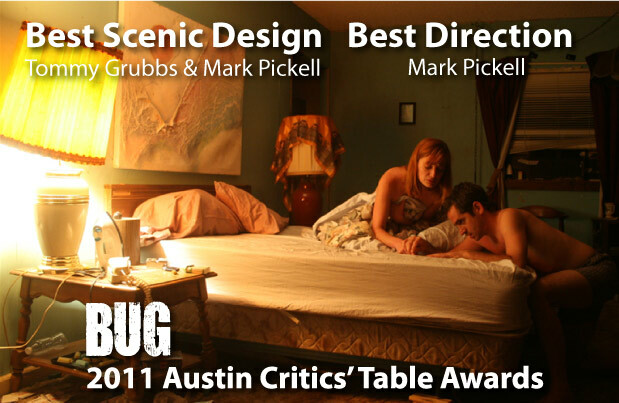 Mark also shared top honors in scenic design with Tommy Grubbs as the Critics’ Table awarded Best Scenic Design to their collaboration on the dilapidated motel room for Bug.